Property specialists in Nueva Andalucia’s golf valley since 1982. Welcome to WASA Real Estate in Nueva Andalucia. Since 1982 we have been helping property buyers find their dream homes in and around the Marbella area. Although we are specialists in property for sale in Nueva Andalucia we also cover a much wider area of the coast and slightly more inland. We have helped clients find luxury villas in La Zagaleta as well as penthouses in Puerto Banus. 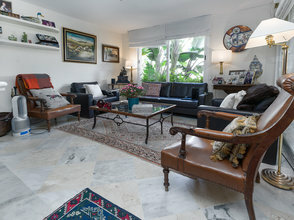 Our offices are situated just a short walk from Centro Plaza in the direction of Aloha in Nueva Andalucia, and as you will see from our set-up, we aim to be different to the other Marbella real estate agents with a more informal approach in a relaxed environment. 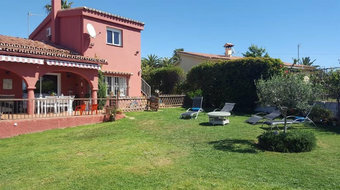 Our unrivalled knowledge of Nueva Andalucia property, together with our many years of experience in real estate in Marbella, means we are the ideal choice to help you find that home in the sun. We are the first choice for many sellers listing their properties as we offer some of the best professional photography for their homes, as well as both online and offline marketing to help sell it. 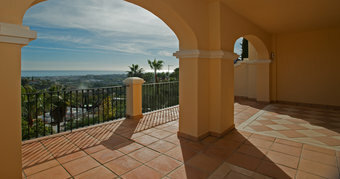 We have a magnificent portfolio of properties from detached villas for sale overlooking the Nueva Andalucia golf valley, penthouses in some of the best developments throughout Marbella, Benahavis and Estepona, right through to apartments with amazing golf views and houses in areas like Aloha, La Quinta and the beautiful Aloha Pueblo. All of this gives us the edge when it comes to choice of properties for sale. If you are interested in buying or selling property in Nueva Andalucia, or Puerto Banus, please get in touch and we will be happy to guide you through the process.